Star Wars Imperial Officer White Grand Admiral Uniform Cosplay Costume. Read more: . Wallpaper and background images in the Star Wars club tagged: photo star wars. 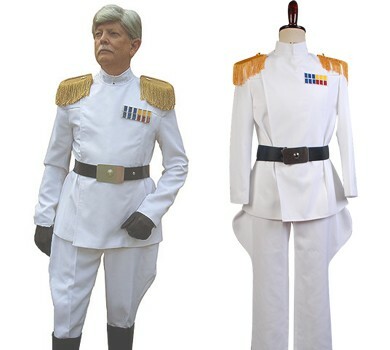 This Star Wars fan art might contain full dress uniform, regimentals, green beret, special forces, and elite soldier.